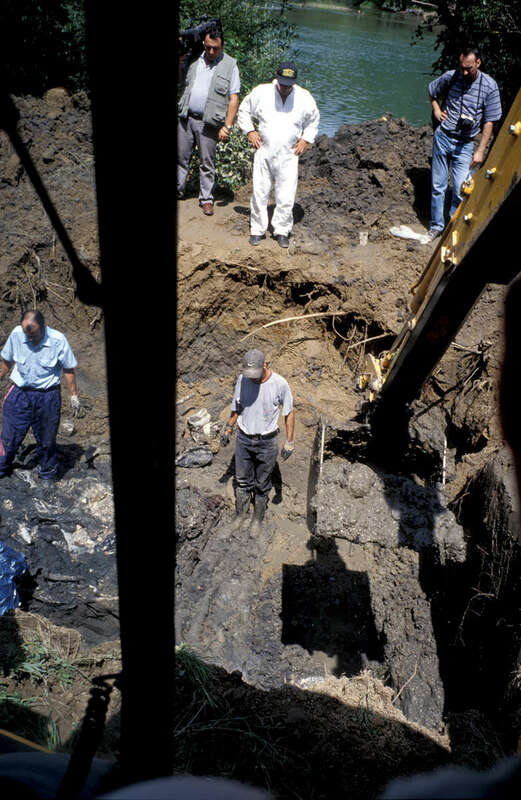 A steam shovel removes mud and dirt from a site identified as a mass grave, thanks to a tip from a Serb informant. Exhumation officials say that as more time passes since the end of the war, Serbs are increasingly offer information -- often anonymously -- about where to find mass graves. Many of the informants say they want to clear their consciences, according to authorities. This exhumation of this grave yielded about two dozen remains. July 2000.